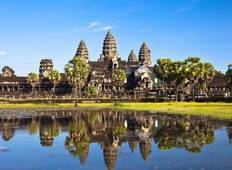 "Such a great tour and an amazing way to see such a great range of places in Cambodia!..." "This was a really well thought out trip, each place we visited had something to offer..."
"This was my first tour with Intro Travel and they provided me with the best experience..."
"Had a awesome time in Cambodia with Alanna as my tourleader! She really goes the..."